The expression of Grp78/BiP is strikingly up-regulated in a variety of cancers 123, 294. Since Grp78/BiP is expressed on the plasma membrane of malignant but not benign cells, the surface localization of the chaperone opened up an intriguing opportunity for Grp78/BiP-targeted anti-cancer therapies. Several specific anti-Grp78/BiP antibodies show promise in suppressing tumorigenesis in several cancer models. The polyclonal anti-N-terminal Grp78/BiP antibody N-20 was shown to block the cellular activity of recombinant Kringle 5 (rK5) of plasminogen 8. Work by Misra and Pizzo has outlined that targeting Grp78/BiP with mouse IgGs directed against the C-terminal domain of the chaperone (anti-CTD) caused tumor cell apoptosis by activating the caspase pathway 301, 314, 315. However, binding of N- and C-terminal anti-Grp78/BiP antibodies (N-20 and C-20) has been found to impact Grp78/BiP signaling in different ways. Whereas the C-terminal Grp78/BiP antibody (C-20) suppresses Grp78/BiP signaling 139, the N-terminal Grp78/BiP antibody (N-20) stimulates Grp78/BiP signaling 316. In contrast, various studies reveal a potent anti-tumorigenic activity of the anti-Grp78/BiP N-20 antibody through blockage of Grp78/BiP functions in many human cancers 8, 209, 317, 318. In MCF-7 breast cancer cells, the N-20 antibody blocked growth and proliferation of the tumor cells via suppression of STAT-3 phosphorylation 319. Two monoclonal antibodies directed against the C-terminus of Grp78/BiP, C38 and C107, have been reported to suppress the proliferation of murine melanoma cells by blocking the PI3K/AKT signaling pathway in vitro 316. C107 has also the capacity to attenuate tumor growth in a melanoma flank tumor model 316. Another human monoclonal anti-Grp78/BiP antibody, SAM-6 isolated from a GC patient 320, binds to an O-linked carbohydrate moiety found specifically in Grp78/BiP of malignant cells which might account for shielding this Grp78/BiP isoform from immune surveillance and immune response 294. Whether this antibody holds promise for therapeutic applicability needs further investigations. The catechin (-)-epigallocatechin-3-gallate (EGCG) is the most abundant and powerful catechin in cancer prevention and treatment 321. Pleiotropic effects of EGCG include antioxidant activities, cell signaling modulation, apoptosis induction, cell cycle arrest as well as inhibition of matrix metalloproteinases (MMPs), urokinase-plasminogen activator, telomerase, DNA methyltransferase, and the proteasome 322. EGCG directly interacts with the NBD of Grp78/BiP, thereby acting as a competitive inhibitor to ATP and blocking its ATPase activity. Moreover, EGCG binding also prevents oligomerization of the chaperone 323 as it binds to unfolded conformations of the Grp78/BiP ATPase domain thereby inducing apoptosis in various cancer cells 324. EGCG-mediated apoptosis induction in cancer cells was identified as occurring through blocking of the anti-apoptotic Grp78-BiP/caspase-7 complex, thereby suppressing the transformed phenotype. These results clearly reveal the inhibitory effect of EGCG on anti-apoptotic Grp78/BiP which plays a crucial role in the development of drug resistance. Most recently, EGCG was found to up-regulate Grp78/BiP in the ER and to activate ATF-4 and CHOP expression as well as Xbp-1 splicing. EGCG also induced expression of ER degradation-enhancing α-mannosidase-like proteins (EDEMs) in cell lines deriving from therapy-recalcitrant malignant mesothelioma (MMe), accompanied by a reduction of cell surface Grp78/BiP and a rise in caspase-3 and -8 activities 325. These findings led the authors to conclude that EGCG-mediated accumulation of Grp78/BiP in the ER might convert the constitutive UPR of MMe cells into pro-apoptotic ER stress. EGCG administration might thus have future clinical implications with respect to the development of novel approaches as an adjuvant therapy in MMe as it is able to revoke chemoresistance to conventional drugs at tolerable doses. A similar mechanism of action has been demonstrated for honokiol 324, a cell-wall component of Magnolia grandiflora, and a powerful anti-tumorigenic and neurotrophic compound, which induces apoptosis and up-regulation of Grp78/BiP in different tumor cells upon ER stress 324, 326. In contrast, honokiol significantly reduced the stress-induced over-expression of Grp78/BiP, CHOP and pro-inflammatory cytokines in the hippocampus of mice 327. Also, honokiol-treated mice depicted marked reduction in stress-induced cognitive impairment and depressive-like behaviour suggesting honokiol administration as being an intriguing therapeutic approach in interfering with ER stress-related neuropathogenic mechanisms. Compounds associated with a down-regulation of Grp78/BiP also comprise versipelostatin isolated from Streptomyces versipellis 328, prunostatin, isolated from Streptomyces violaceoniger 329, as well as verrucosidin isolated from several species of the genus Penicillium. Versipelostatin was found to exert in vivo anti-tumor activity by blocking tumor growth of GC xenografts 299 and highly selective in vitro cytotoxicity in glucose-deprived cancer cells 330. In line with this observation, prunustatin A suppressed the Grp78/BiP expression in glucose-deprived human fibrosarcoma HT1080 cells accompanied by global cell death without showing cytotoxicity under normal conditions 329. Verrucosidin (VCD) belongs to a group of fungal metabolites formerly known to down-regulate the increased expression of Grp78/BiP during hypoglycemia, a process culminating in selective death of glucose-deprived cancer cells 331. Nowadays it became apparent that VCD blocks Grp78/BiP expression only when glycolysis was impaired 332. Notwithstanding this, VCD’s strictly hypoglycemia-specific toxicity was obviously not attributable to changes of the Grp78/BiP levels but rather to the blockage of the mitochondrial energy production via inhibition of complex I of the electron transport chain 332. An interesting compound within this category is the bacterial AB5 subtilase cytotoxin (SubAB) produced by Shiga endotoxic E. coli. SubAB has been reported to exert extreme cytotoxicity for eukaryotic cells by specific cleavage of Grp78/BiP in the linker region which connects the NBD and SBD. One established consequence of Grp78/BiP cleavage is a severe ER stress response, leading to the activation of all three arms of the UPR 251, 252. SubAb is proving to be a useful instrument for exploring the function of Grp78/BiP and ER stress in physiology and pathophysiology. Cancer-targeting peptides against Grp78/BiP hold promise for the prevention and treatment of ER-stress related disorders. The Bag-1 peptide derived from an interaction site in the co-chaperone Bag-1 interacts with Grp78/BiP and abolishes its refolding activity 333. In addition, Bag-1 peptide modulates the UPR in response to ER stress leading to PARP and caspase-4 cleavage. Prostate cancer cells stably expressing this peptide show growth retardation and increased apoptosis in xenograft tumor models 333. A specific mutant of melanoma differentiation-associated protein 7 (Mda-7), consisting of amino acids 104 to 206 of full-length Mda-7 and termed M4, has been reported to associate with Grp78/BiP and to maintain the cancer-specific growth-inhibitory and apoptosis-inducing characteristics of the full-length Mda-7 molecule 334, 335. Several peptides are known to bind to surface Grp78/BiP, a characteristic feature of tumor cells. GMBP1 (gastric cancer MDR cell-specific binding peptide) is a duodecimeric peptide which binds to Grp78/BiP on the surface of multidrug resistant GC cells 336. GMBP1 was found to re-sensitize these cells to chemotherapy by down-regulating Grp78/BiP and thus blocking Mdr-1 expression 336. Pep42, a cyclic 13-mer oligopeptide that specifically binds to Grp78/BiP is internalized into cancer cells, thus representing an excellent vehicle for tumor cell-specific chemotherapy 337. 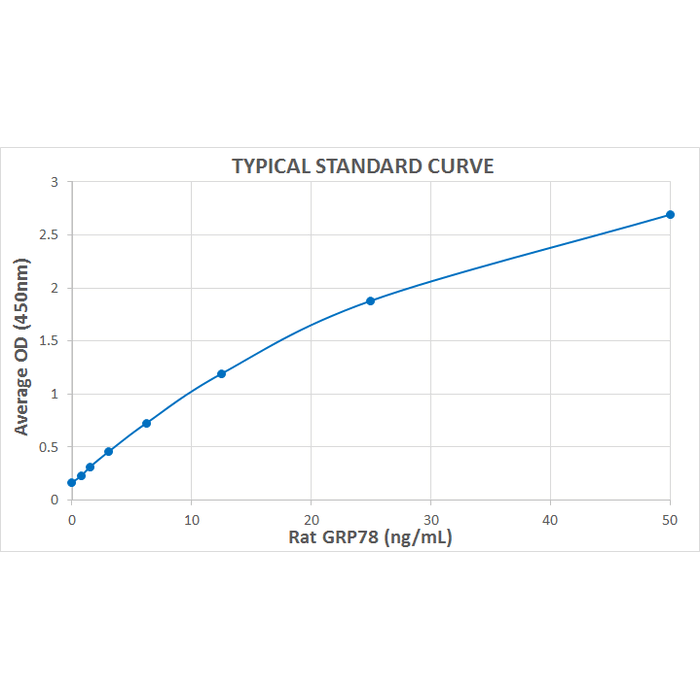 The Grp78/BiP-binding peptides WIFPWIQ and WDLAWMFRLPVG have been shown to target tumor cells specifically in vivo and in human cancer specimens ex vivo. Additionally, these peptides fused to an apoptosis-inducing sequence are able to reduce tumor growth in xenograft and isogenic mouse models of prostate and breast cancer 122. Polymeric micelles decorated with WIFPWIQ and the isotope chelator diethylenetriaminepentaacetic acid (DTPA) were constructed by Cheng and co-workers to generate a novel nuclear imaging agent during GC diagnosis 338. In this study, WIFPWIQ-guided micelles were observed to direct micelles to GC tissues, thus improving the accumulation efficacy in gastric tumors. Since this novel construct allowed for a better resolution and diagnostic accuracy in nuclear imaging, one can hypothesize that such conjugated micelles may provide a new methodology in the diagnosis of solid gastric tumors. GIRLRG is a recently recognized recombinant Grp78/BiP interactor which, when conjugated to a sustained-release nanoparticle drug delivery system, yields increased apoptosis in irradiated breast carcinomas in comparison to conventional chemotherapeutic strategies 339. 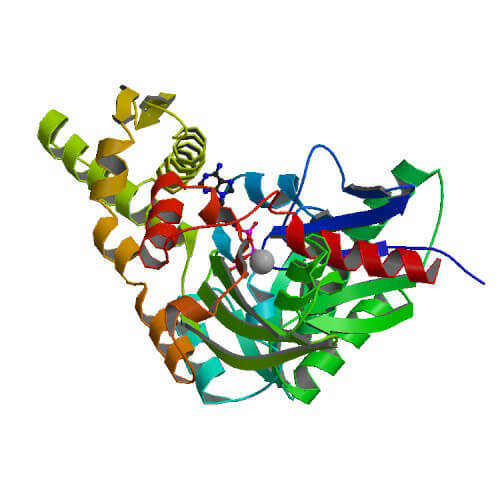 An engineered fusion protein, combining epidermal growth factor (EGF) and the proteolytic A subunit (SubA) of the novel bacterial AB5 subtilase cytotoxin, EGF-SubA, was reported to be highly toxic to EGF receptor-expressing cancer cells through rapid cleavage of Grp78/BiP 340. In addition, systemic delivery of EGF-SubA resulted in a significant growth inhibition of human breast and prostate tumor xenografts in mice. Since EGF-SubA also significantly augmented the sensitivity of cancer cells to chemically induced ER stress, these findings clearly reveal an exciting example of mechanism-based synergism in the action of a cytotoxin and an ER-targeting drug 340. 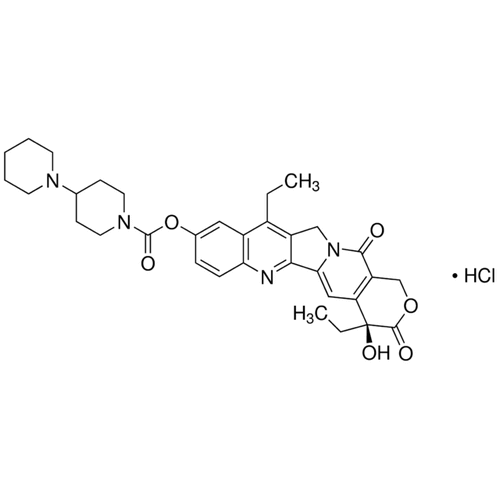 IT-139, formerly known as NKP-1339, is a novel ruthenium-based Grp78/BiP inhibitor which has shown promising anti-cancer activities in non-clinical studies and a phase I clinical trial 341, 342. Sensitivity towards IT-139/NKP-1339 has been attributed to apoptosis induction triggered by activation of caspase-8 and disruption of the ER homeostasis by down-regulating Grp78/BiP 342. Thiazole benzenesulfonamides belong to the thiazolidinedione (TZD) family and have previously been demonstrated to induce apoptosis in melanoma cell lines 343. The leading compound in this series, termed HA15, targets specifically Grp78/BiP and displays strong in vitro and in vivo anti-melanoma effects without considerably affecting normal cells 344. In adrenocortical carcinoma (ACC) cells, HA15 blocked cell proliferation and steroidogenesis and synergized with mitotane, the only approved compound for ACC treatment, by convergently stimulating ER stress signaling pathways 345. The combination of HA15 and knockdown of PRDM14, a member of the PR domain-containing family which is over-expressed in various cancers and involved in regulating the cancer phenotype, was currently elucidated to decrease cell proliferation and number of side population cells in triple-negative breast cancer cells more efficiently than PRDM14 knockdown alone 346. Since PRDM14 could be identified as a novel direct interactor of Grp78/BiP, these data argue for a combinatorial strategy for targeting Grp78/BiP in certain cancers. In this context, acetohydrazide derivatives have come into focus for the development of novel anti-cancer drugs. By using in silico methods, Viswanath and colleagues identified VH1019 as a potential new chemotype for Grp78/BiP inhibitors 347. VH1019 induced a distinct concentration-dependent anti-proliferative effect in various cancer cell lines as compared to non-tumorigenic controls 347. In conclusion, the UPR comprises a series of intracellular signaling processes destined to handle the accumulation of unfolded or misfolded proteins in the ER. The availability of modulators of distinct UPR signaling cascades increased makedly, launched by the laudable concern to enforce the establishment of new therapeutic approaches in cancer and other UPR-related diseases. UPR-modulating agents not only encompass Grp78/BiP inhibitors (see Table 4) but also proteasomal inhibitors, protein disulfide isomerase (PDI) inhibitors, Hsp90 inhibitors as well as inhibitors of the IRE-1/Xbp-1 pathway, stimulators of macroautophagy and apoptosis inductors. Some of these UPR modulators have already moved to clinical trials with promising results. Continuing investigations aiming to characterize the specific function of the UPR in certain clinical settings will help to improve our understanding of the molecular mechanisms involved in disease pathogenesis and the versatility of UPR modulators.